The latest flavor in our family of cheddars, Habanero Cheddar may soon become your new favorite snack. Unlike our Cheddar Pepper that gives a mildly spicy cheese, we used just the right amount of habanero to give true spice lovers what they crave. If you like heat in your foods, you need to try Watonga Habanero Cheddar. Available in 1 to 5 lb. packages to ensure you can get as little or as much as you need for your next party or snack time! 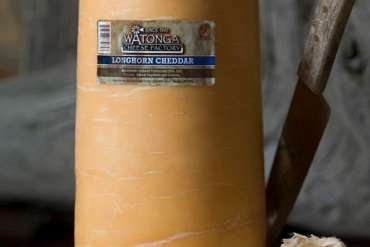 At Watonga Cheese Factory, we produce fine cheddar cheese using our famous recipe that dates back to when the factory was founded in 1940. We make cheddar cheese by hand weekly using Grade-A whole raw milk from our family’s dairy and only the freshest ingredients. You will “Taste The History” when you try our select quality cheese products. We do not ship during the hot summer months. Please call for special arrangements to ship during summer months. “The Horn” is Watonga Cheese Factory’s identity. Our factory has been churning out the 14-pound horn-shaped longhorn cheddar since 1940. Wrapped in cheesecloth and dipped in wax, this is our most popular gift item. 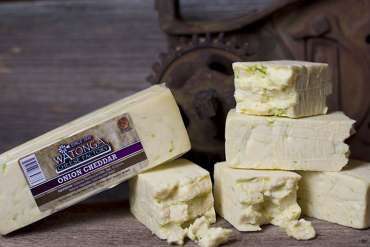 The addition of fresh green onions mixed into our smooth cheddar makes an unforgettable experience. Using the ideal amount of fresh green onions, this cheese is perfect for baked potatoes, Mexican dishes and burgers. 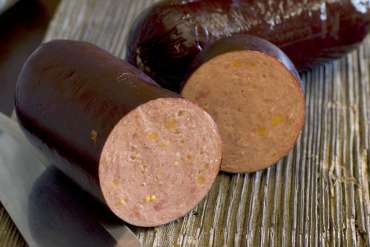 There’s no better product to pair with cheese than a delicious sausage. 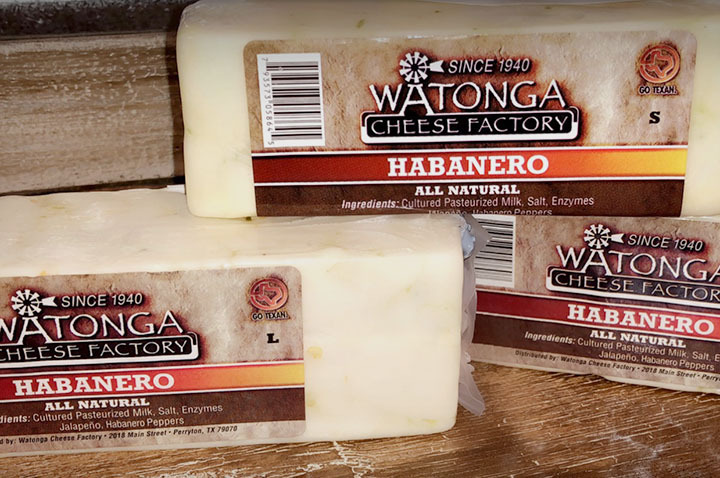 Whether you are having a party and need a great snack or want to save it all for yourself, you will love Watonga Cheese Sausage.